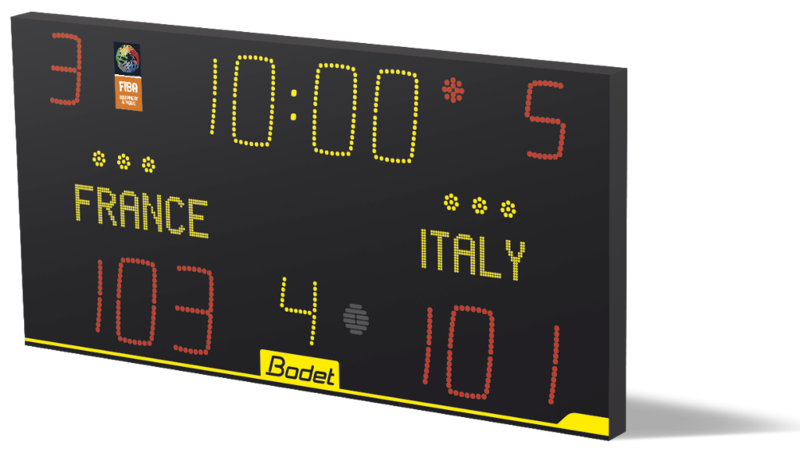 The 8025 basketball scoreboard is designed for basketball at county and regional level, and displays essential match information such as game time, score, period number, and time-outs. 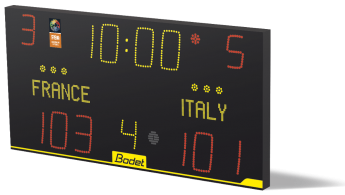 This basketball scoreboard is available in two versions: 8025 with Home/Visiting team stickers or BT6025 Alpha with a fully programmable LED display. Dimensions	 W2000 x H1000 x D65,5 mm.